Are you all turkey-d out? 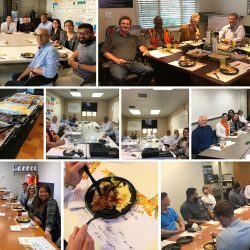 For the second year in a row, we’ve brought thanksgiving meals to our teams both on site and in the office – 16 lunches in 8 days! Thank you to everyone who joined and a special thank you to our hardworking teams for their incredible work. We appreciate all that you do! A new mixed-use development is coming to Northridge! 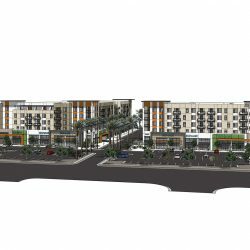 Located near the intersection of Nordhoff Street and Corbin Avenue, the Northridge Apartments will feature 429 residential units with approximately 21,000 square feet of retail space. 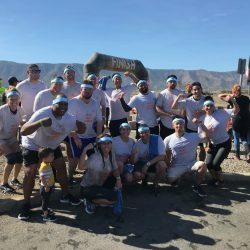 Our fearless team did a great job representing Snyder Langston at this past weekend’s Tough Mudder competition in Lake Elsinore. The 5 mile, 13 obstacle course took the team an hour and 40 minutes to complete. What was the most challenging obstacle you may ask? Everest 2.0 – a 13 foot quarterpipe! It took a lot of physical and mental strength, as well as a ton of team effort but they made it! Congratulations team! 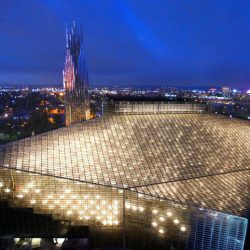 On Saturday, Christ Cathedral marked the progress of the new cathedral by celebrating the “First Lighting and Blessing of the Quatrefoils.” Bishop Kevin Vann led the blessing then the 500 attendees took a guided tour inside of the 12-story construction site. All 12,000 glass panes in this “box of stars” was covered with quatrefoils that lit up. Each quatrefoil is composed of four triangles permanently situated at different angles, which have been strategically placed based on the direction the sun beams in. “You could see people fanning themselves and even wearing sunglasses,” said Tony Jennison, Vice President of Philanthropy for Orange Catholic Foundation. 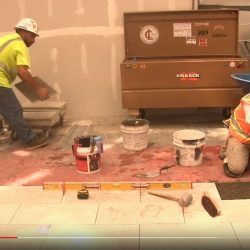 Take a look inside Christ Cathedral as our Senior Superintendent, Greg McClure, updates us on the stone and tile installation. Today we celebrated the topping out of the Judi and Bill Leonard Institute for Cancer Prevention, Treatment and Wellness. 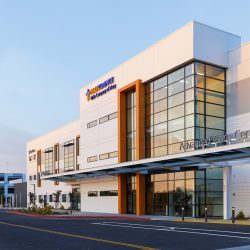 A special thank you to our clients NCA Real Estate, Welltower, Mission Hospital, our design consultants, and trade partners for making this possible! 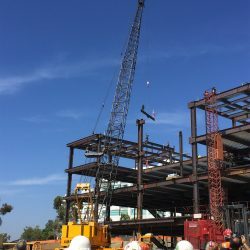 This ground-up construction project includes a 108,000 square foot medical office building and 611 stall parking garage. The entire building is designed to OSHPD-3 standards. Check out this awesome time lapse video of the Lakeshore Towers Parking Structure! 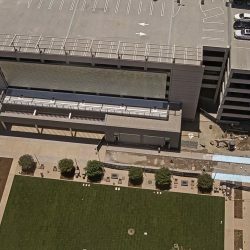 This project consisted of an open parking garage expansion of approximately 989 parking spaces, including 13,185 square feet of a retail shell building and 3,441 square feet of canopy, common site area hardscape, and landscape improvements. Completion started in July 2016 and finished in July 2018 – exactly 2 years. 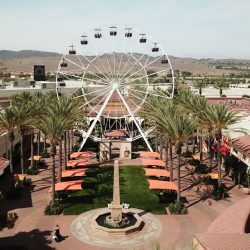 Check out the new site renovations at The Irvine Spectrum! Some highlights of the renovation include a brand new Apple Store, which includes a large video wall to offer free classes such as coding for kids and shooting better photos with your phone. The retail center also features 30 new stores and restaurants such as Stance, Gorjana, SoHa Living, the Denim Lab, 85°C Bakery Cafe, BLKdot Coffee, Afters Ice Cream, Falasophy, and Robata Wasa. 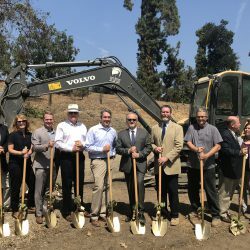 Snyder Langston has officially broke ground at the Huntington Library. The ceremony featured speakers including The Huntington’s new president, Karen R. Lawrence, U.S. Congresswoman Judy Chu, Consul General Zhang Ping of the Consulate General of the People’s Republic of China in Los Angeles, and other local dignitaries. Major donors were also recognized during the program.